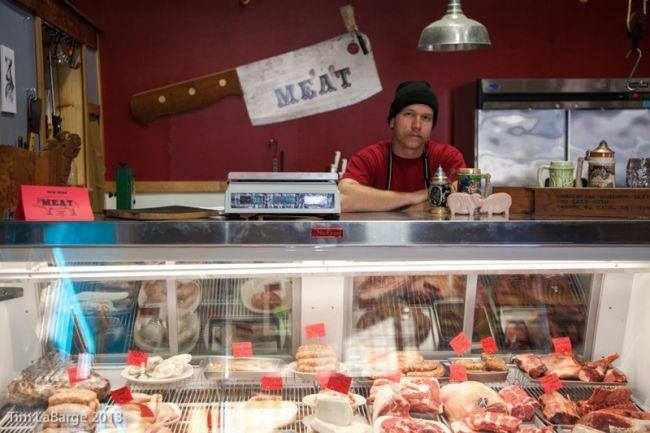 Kyle Christenson, a craft butcher in the Granary in McMinnville that specialized in local farm-raised meat, has shut his business. He hopes to open again soon to sell his sausages and we wish him well. Meanwhile, the farmers who have been providing the meat to the butcher store can start providing their cuts through Yamhill Valley Grown. There is no reason for them to lose income and we, the consumers, can still have access to great local food. And through Yamhill Valley Grown, it is delivered right to your door!! This entry was posted in beef, chicken, consumer demand, local economy, Local food, pork and tagged beef, chicken, local economy, local farms, Local Food, pork, Yamhill County. Bookmark the permalink.